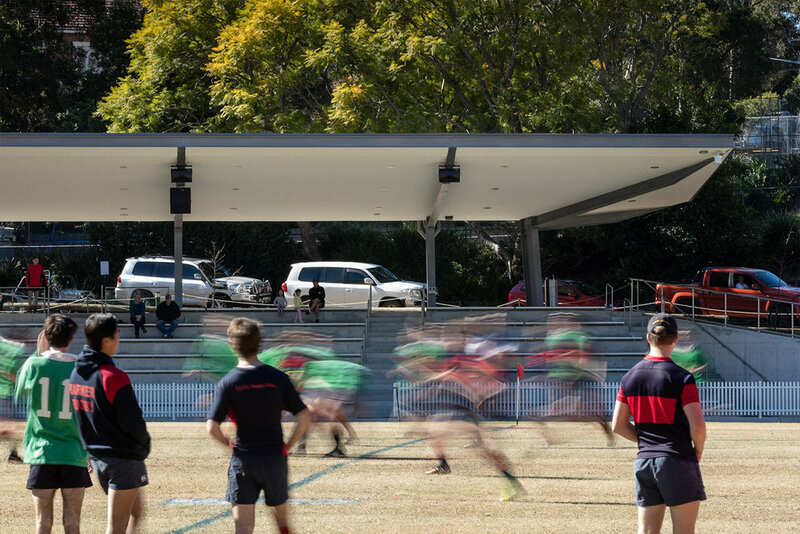 The project: Located on Sydney’s leafy Upper North Shore, Barker College is a prestigious school catering to students K-12. Rich in history, the school has been operating from the same beautiful site in Hornsby since 1895. While the school’s original buildings continue to provide a reminder of Barker’s heritage, the campus has been gradually evolving with the development and refurbishment of several key areas. The goal: to ensure current and future students are equipped with the very best facilities that cater to their needs. 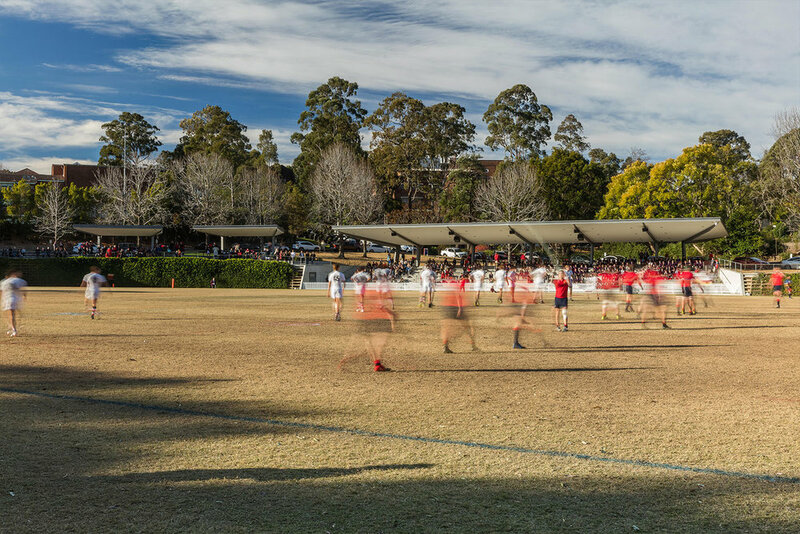 The challenge: At the heart of Barker’s site is a large environmentally sensitive war memorial sports oval – a much loved space that’s affectionately referred to as ‘number one’ by the school community. To date, there has been little covered seating available around this oval, limiting the space available for spectators. We were given the challenge of constructing a thoughtfully planned grandstand that would address this need. 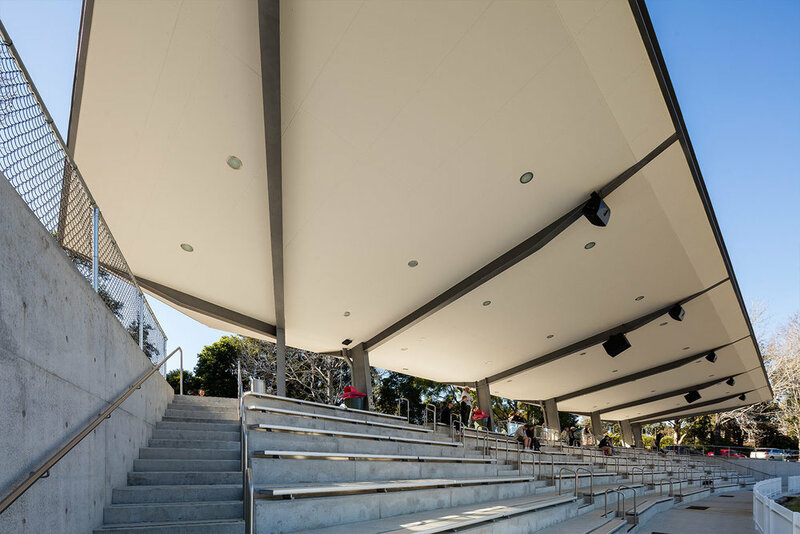 The scope: In response to the brief from Barker, NBRS Architects designed a delicate, contemporary grandstand with capacity for over 500 people. Rather than simply create one large space, the architects created a sensitive arrangement of seating ‘pods’ (each accommodating around 30 people), with a larger tiered seating space at the centre. With their sloping canopies, these spaces were intended to provide the seating the school needed, without compromising the landscape setting.